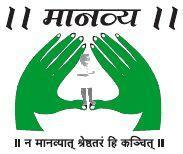 Manavya is a registered NGO with IT Certificate No. PN/T/80G M643. 2003-2004/6235 (2004-2006) and FCRA No. 083930353 ** Donate liberally and avail exemption from Income Tax under section 80G of Income Tax Act 1961. Donations Cash/Cheques/Demand Draft/Money Orders/Pay Orders accepted in the name of "Manavya", Pune. We accept Cash / Cheques / D.D. / M.0. in the name of "Manavya".